This warm and cozy bedtime beverage is quite lovely. 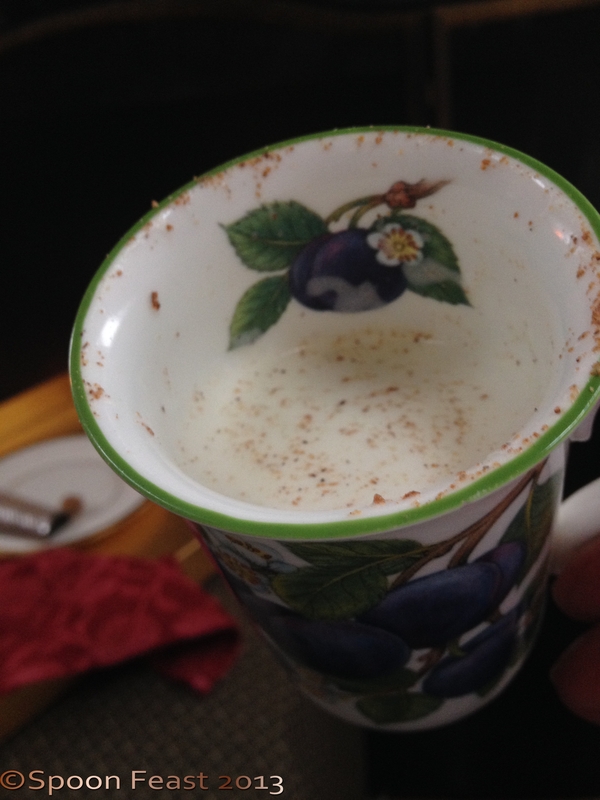 It is only warm milk, honey and nutmeg. The nutmeg encourages a comforting sleep and the warm milk envelopes you in warming coziness that allows you to fall asleep easily. 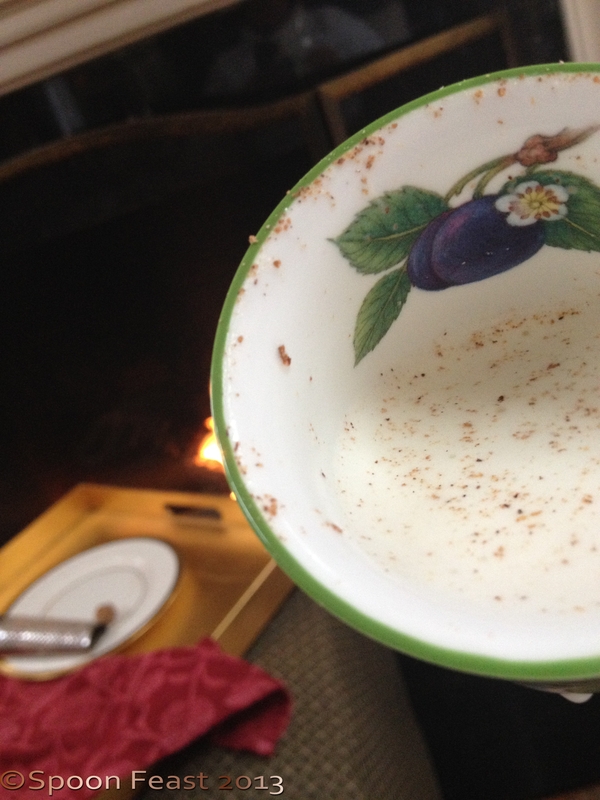 Nutmeg is a relaxing nervine in the herbal world. Caution must be used as too much nutmeg may leave you groggy in the morning. Nutmeg has a way of “time-releasing” some of its qualities so it is best to use less than more. 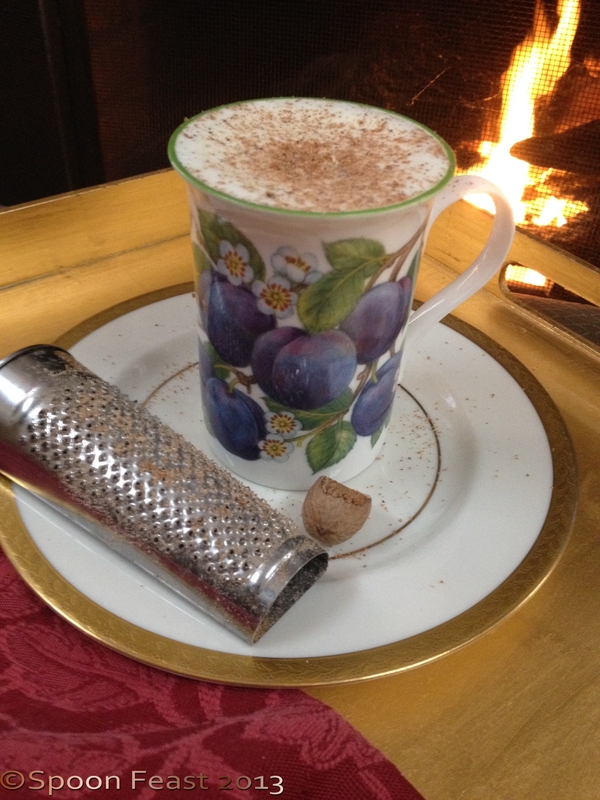 The best nutmeg to use for this drink is, of course, freshly grated from a whole nutmeg nut. Myristica fragrans Nutmeg. The picture was taken in Zanzibar. (Photo credit: Wikipedia)See that red bit? That’s called Mace and can be used like the nutmeg nut found underneath. It’s just a bit stronger and usually comes ground. Lets talk a bit about nutmeg. We may know it from being sprinkled over the top of holiday eggnog and that might be about it. However, nutmeg is a spice we should be aware of for many qualities. Add a pinch or two to tomato sauce to add a complex sweetness; I add it to my pepper mill for a great depth of flavor. Personally I love the aroma and flavor of fresh nutmeg. 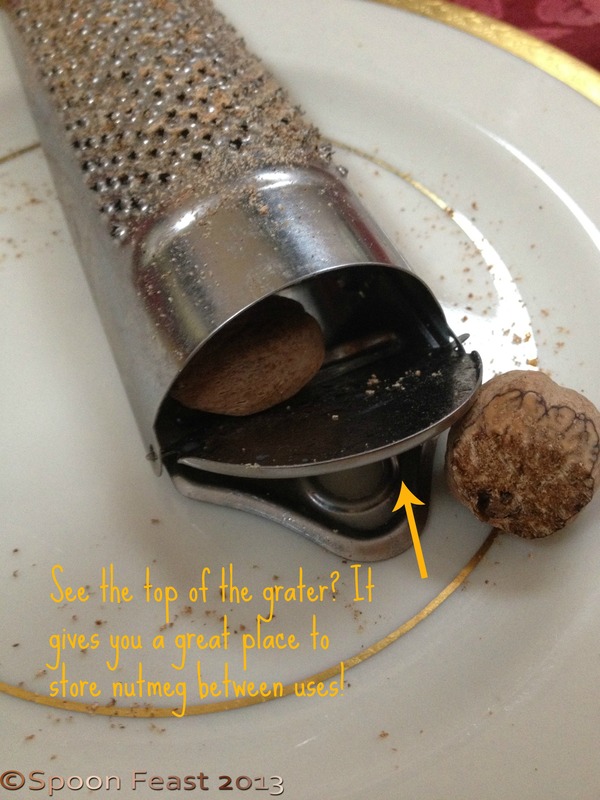 You can use a nutmeg grater or in the absence of that, the smallest side of a box grater or a fine microplane will work to grate the fresh nut. To make this cozy bedtime beverage, simply warm a cup of milk to warm, add a spoonful of honey and grate a teaspoon of fresh nutmeg over the top. For added luxury, steam the milk with a cappuccino steamer for lots of froth on top. Sit back and sip, you’ll be yawning and heading for bed before you can finish the cup. A nice benefit of nutmeg is that it also encourages sweet dreams and reduces stress. Now who couldn’t use some of that right about now? This entry was posted in Beverages - Non-Alcoholic, Recipes and tagged Drink, Grater, Milk, Nutmeg, Nutmeg grater, Nutmeg Milk. Bookmark the permalink. I love this idea! Will try ASAP. It’s so good! I hope you enjoy it Heather.